Last night’s episode of Supergirl was pretty intense. The episode focused on fathers. Two of the characters reunited with their fathers. One of them had a good reunion, the other was a bit of a downer. We also learned a lot about them and their pasts. It was almost as if it was an early Father’s Day episode in a way. Last episode we saw end with M’gann telepathically channeling J’onn for his help. Last night’s episode starts off where episode two left off. J’onn notifies Kara and Alex that he is leaving to Mars to help M’gann. Kara goes with J’onn because she knows he’d do the same for her if it were Krypton. The two heroes head out on the journey to help the resistance on Mars. Once they arrive on Mars, J’onn finds a shocking discovery. His Father, M’rynn, whom he thought was dead was actually alive. This broke J’onn to know his father had actually been alive this whole time. What makes the situation even worse? M’rynn does not believe that J’onn is his son, but thinks he’s a White Martian tricking him. The White Martians of the resistance need M’rynn to tell them where the staff of their God, H’ronmeer is. They ask J’onn to help them get the information from M’rynn, but M’rynn will not crack. J’onn tries twice with no success. It is not until Kara sits and talks to M’rynn that he cracks. He finally opens up to J’onn and realizes that he is his son. He’s so joyous and happy to be reunited with his son. The staff of H’ronmeer is a psychic power like no other, and M’rynn must help them find it to save the resistance. He does, and they battle the White Martians who want to rule Mars. 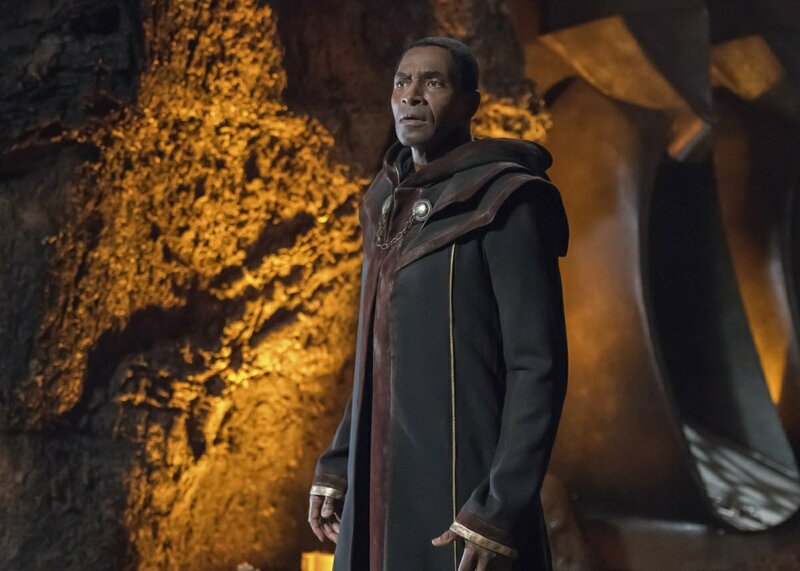 The White Martians of the resistance are thankful for J’onn’s help, especially Till’all, who was very unfriendly when J’onn and Kara first landed. Our other friend who was reunited with their father, was Maggie. We finally found out what happened with Maggie’s parents when she told them she was gay. 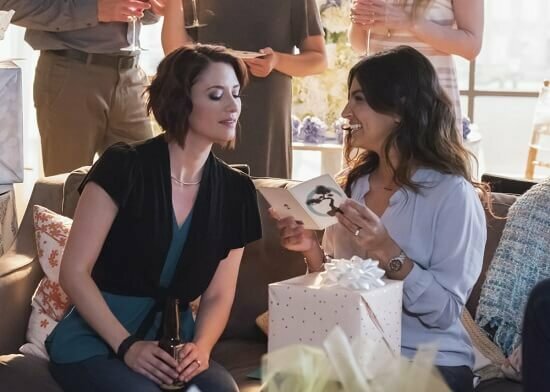 On Maggie and Alex’s part, Eliza was throwing them a ‘Gay Wedding Shower.’ There were bridal games, drinks, friends and family, but there were no childhood pictures of Maggie; and her family was not coming. Eliza asks what happened, and Maggie explained. In a nutshell, Maggie’s father packed a suitcase, and dropped her off at her aunt’s doorstep when she was 14 (because she had told a girl she liked her). The situation is truly upsetting, and sheds light on why a lot of teens don’t come out to their parents. Maggie goes on to invite her father to the bridal shower. At first, it seems as if he’s all in and ready to accept Maggie for who she is. We soon see that some people will not change and that her father does not accept who she is. He explains his anger towards her, and says that: “I came to this country when I was 9 years old, and they hated me because I was a Mexicano. They would beat me up and kick my ribs until they were broken. I worked hard for myself, and for my family. You spit in my face. The only thing they hate more than a Mexicano is a homosexual.” He obviously doesn’t see the hypocrisy of his statement, and it makes the situation that much more worse. Maggie was hurt, deeply cut emotionally. She ends up going to see her father, and returning a picture he gave her earlier in the episode. She tells him, that “There are people that love her for her. She’s not the same scared little girl he left on her aunt’s doorstep when she was 14. She’s a woman who’s accepted for who she is by his peers, and he can’t accept that then she doesn’t need him.” He looks hurt and distraught. Maggie is fine being who she is, and that’s what made this episode so amazing. She knows that she is surrounded by a real family, one that would never shame her for who she is. This episode was filled with emotional twists and turns. From J’onn and his father’s reunion to Maggie ultimately telling her father she didn’t need him. This episode was necessary for people of all walks of life. You should accept people for who they are, especially your children. You should cherish every moment with them, and love them. This was a Father’s Day episode come early or late, depending on how you look at it. The focus wasn’t necessarily on Kara, although J’onn is kind of her father figure right now. We also got another dive into Alex and Maggie’s relationship as it was kind of the forefront of this episode. The question of children came up again, and I think that problem is solved. Love is love guys, and as a society this episode shed light on some things. 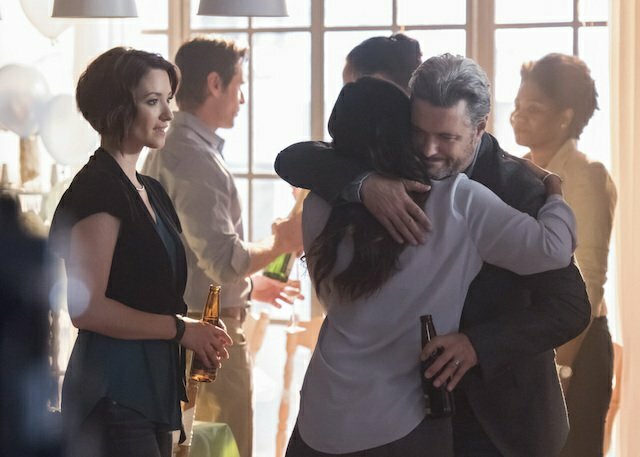 Hopefully Maggie and her father can patch things up sooner than later. We will see soon! How did you guys feel about the episode? Tweet us, comment, share, thank you guys!